Are you looking for pain relief in the form of chiropractic care in Manhattan? Look no further than Balanced Health Medical in New York. Our chiropractor Midtown specialists are happy to help. Below is some information about acupuncture and infrared therapy. What is Acupuncture and Infrared Therapy? Acupuncture is a very old technique that first began in ancient China. It involves placing thin needles just below the skin to help relieve a variety of symptoms from different conditions. The body's flow of energy can be rebalanced through acupuncture. 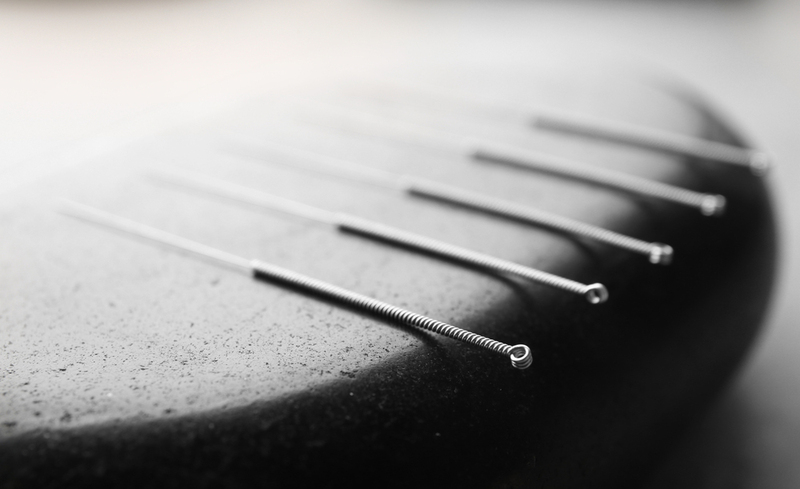 Muscles, connective tissues, and nerves are energized through acupuncture. Needles are placed on certain areas of the body to stimulate those areas, increasing blood flow and increasing the body's ability to naturally defend itself against pain. Our chiropractor Midtown practice can help eliminate pain through our acupuncture treatments. The infrared therapy uses red light to help soothe the acute or chronic pain that you are experiencing. This is a painless and easy treatment for pain. Pads are put right on the skin where the pain is located. The energy from the light goes deep into the skin, where the deep tissue is located. Wavelengths of light are directed at those pain points. It can help heal the specific pain area, improve circulation, and lower inflammation. Pain from various conditions can be dramatically decreased through infrared therapy at your Midtown chiropractor. What Can Acupuncture and Infrared Therapy Treat? Acupuncture and infrared therapy can treat many conditions. Our chiropractor in NYC can treat menopause, allergies, Bells Palsy, indigestion, insomnia, pain, depression, infertility, stress, and anxiety through our acupuncture treatments. Infrared therapy can also treat a variety of conditions, such as neuropathy, arthritis, blunt trauma, injuries such as wounds, muscle strains and sprains, tendonitis, back pain, arthritis, carpal tunnel syndrome, neck pain, and more. Come by our Rockefeller Center in the 10022 zip code for more information on how we treat pain and conditions through infra-red therapy and acupuncture. Whether you live on the west or east side of New York, our chiropractors can help your condition through acupuncture and infrared therapy treatments. At your first appointment, we will give you a physical so we can properly diagnose you. We will then go over a treatment plan with you, which may combine both therapies to get you feeling better in no time. Come in for an appointment today, no matter if you are on the east or west side of Manhattan. You can visit us at Balanced Health Medical, 133 E 58th St #1101, New York, NY 10022. Come to our Manhattan office for an appointment at your earliest convenience.